Fintech Ireland's map provides an overview into the Irish Fintech landscape. This 2.0 version sees the addition of many businesses using technology to support and drive the growth of businesses in Ireland and globally. 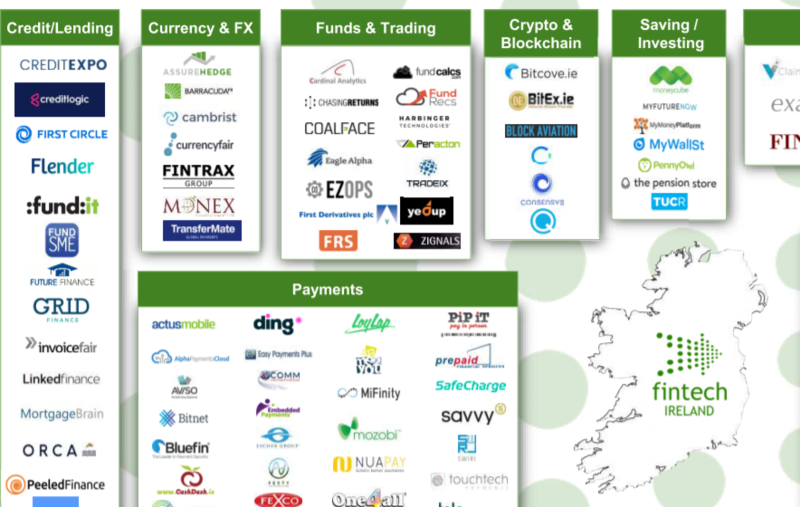 Over the weekend Fintech Ireland released the Irish fintech Map 2.0! An overview of the Irish Fintech ecosystem, the map shares Irish businesses who are transforming business locally and around the world. It is definitely thriving! You will spot InvoiceFair in the Credit/Lending section.